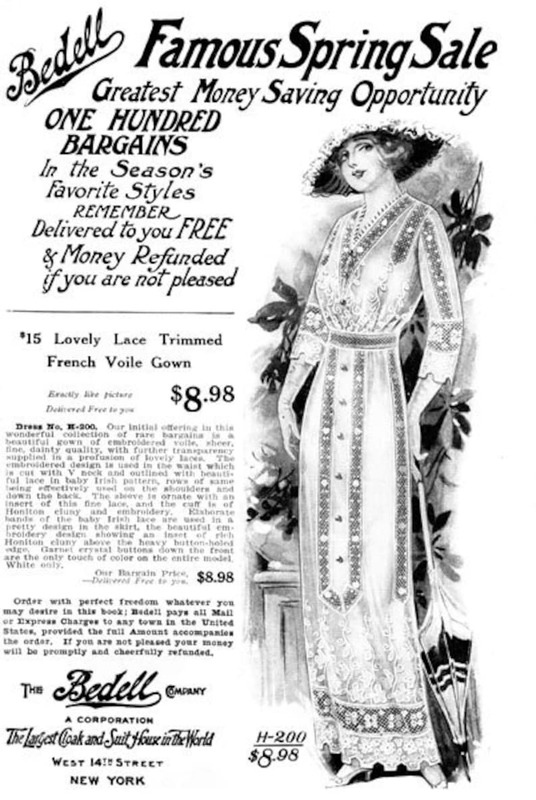 "The Greatest Cloak and Suit House in the World"
"One Hundred Bargains in the Season's Favorite Styles"
A fun resource for clothing of the 1910s, this e-catalog has 32 pages of beautiful black and white illustrations and text describing fashions of a bygone era. 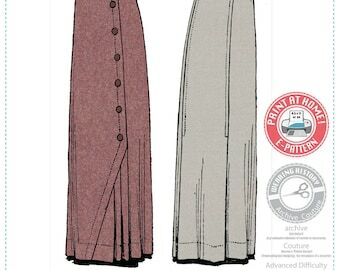 Included in the contents are a variety of ladies wardrobe needs from the early 1900s including images of dresses, coats, shirtwaist blouses, and skirts. This e-catalog has been lovingly restored from a vintage original in my research collection which had the original cover missing, and as such, has no date, but I would date this catalog between 1910 and 1914, with the most possible dates as 1911-1912. 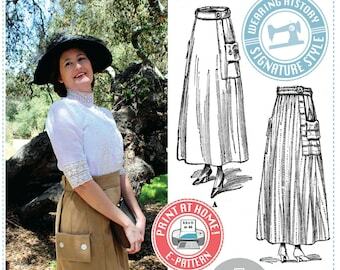 This is a great e-book to be inspired for your creations; whether you are looking to recreate an authentic head to toe period look or add romantic touches to your modern wardrobe. 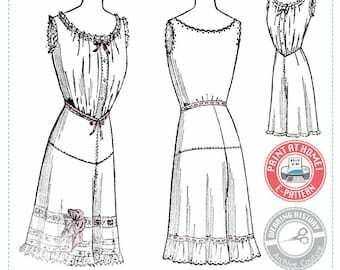 This year is the 100th anniversary of the Titanic, and the popularity of a certain period drama series make this e-book great for your clothing and costume re-creations. This PDF e-book is 33 pages in length. This file is 12.29 MB in size. Please make sure you are connected via a high speed connection before attempting to download this book. The last image is a restoration comparison, showing the before and after. You'll be getting a remastered and digitally restored version of the catalog.